Last Friday, Hero Complex Gallery in LA opened it's "I am the Law" exhibition in which Orlando's piece is on display. This group show highlights criminals, law enforcement, and everything in between! 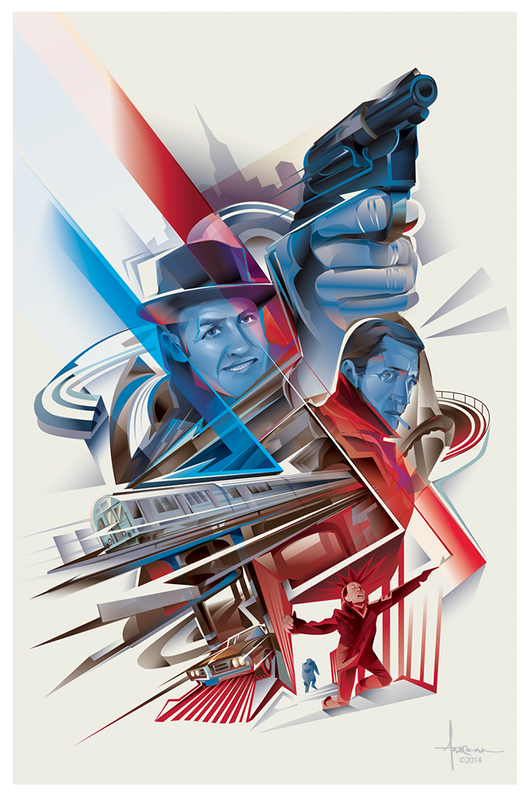 Orlando, born and raised in New York City, made tribute to one of his favorite detective films, " The French Connection", an adaption of Robin Moore's non-fiction story of two NY narcotic detectives, Popeye Doyle and Buddy " Cloudy" Russo.